There is one city that we just keep coming back to – Kuala Lumpur! This is not just because it is our favourite budget airline’s hub, but because it’s a great place to visit with kids. 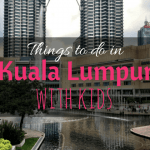 We have already written about the best things to do in Kuala Lumpur. 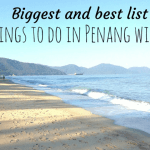 This time we want to write all the best places to stay in Kuala Lumpur. The first hotel in the list of best hotels in Kuala Lumpur is the Berjaya Times Square Hotel. This hotel features several family centered attractions including a large pool, two kids pools, two racquet courts and a playground. There is also a sauna and spa for parents to enjoy. If you’re wondering where to stay in Kuala Lumpur, the location of this hotel is perfect. There are plenty of family friendly activities nearby, and the hotel is located near the monorail and 5 minutes from KL Sentral. Its best feature, however, has to be the fact that its situated on top of Berjaya Times Square, one of the biggest shopping centres in Malaysia which even has a theme park. As the best hotel in Kuala Lumpur at this price point, the hotel offers a selection of room types, with two bedroom suites and access to the nearby theme park and shopping centre. Rooms have entertainment systems and bathtubs. Both Asian and American meals are served in the Big Apple Restaurant, and the Broadway Lounge offers light refreshments, and fine dining at the Fourteenth Restaurant. It is our favourite place to stay in Kuala Lumpur thanks to the very reasonable prices, great facilities, the cheapest rooms being more like one bedroom apartments and the huge shopping centre full of eating options below. Best parts… Large pool, racquet courts, theme park access and central location on top of a massive shopping centre. Be Aware… Rooms are on the dated side. Best for… Families who want everything to be easy. 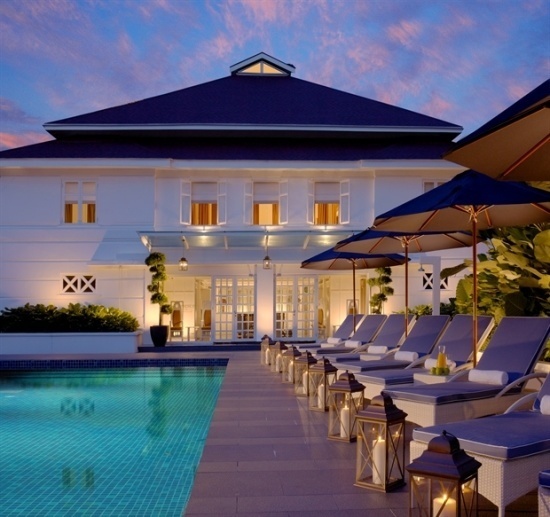 The next best hotel in Kuala Lumpur has to be the Parkroyal Kuala Lumpur. This Kuala Lumpur accommodation is fantastically located for families, and is within walking distance to nearby plazas, Berjaya Times Square and the famous Petronas Towers. The hotel offers an outdoor pool and gym to keep you active during your stay. Modern rooms with conveniences, with family suites and deluxe twin rooms perfect for families. The hotel offers several Asian dining options, and a lounge to enjoy a drink whilst using the hotel’s babysitting service. 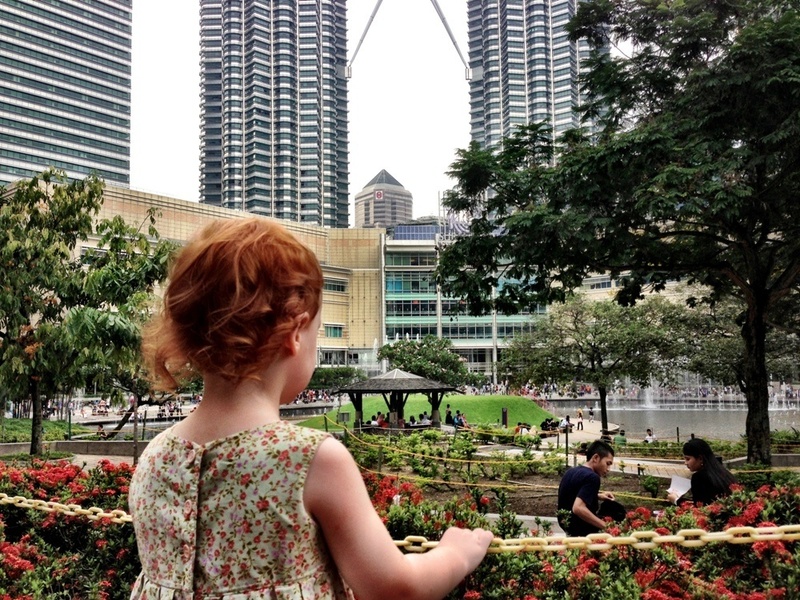 The Parkroyal Kuala Lumpur is one of the best hotels in Kuala Lumpur for families to enjoy the surroundings of Kuala Lumpur. 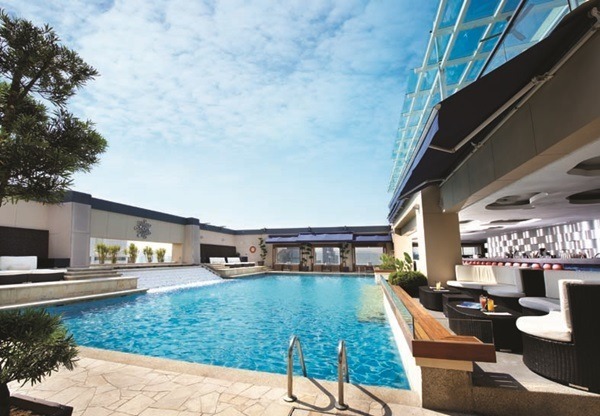 Best parts… Berjaya Times Square location, lounge and outdoor pool. Be Aware… Beds may be on the smaller side. Best for… Families that want to be centrally located and near to attractions. Family accommodation is Kuala Lumpur can be found at the Seri Pacific Hotel Kuala Lumpur. The hotel is connected to the Putra World Trade Centre, making it the best area to stay in Kuala Lumpur for the Putra World Trade Centre. The hotel offers several dining options onsite including the Kofuku Japanese Restaurant for lunch and dinner, and an all day buffet at Zende Restaurant. 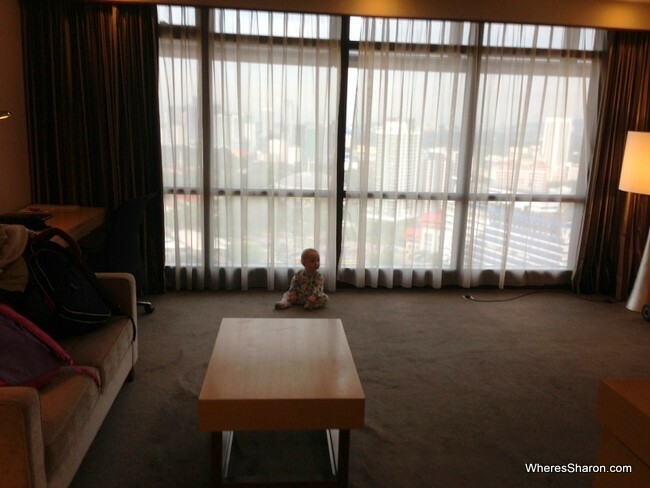 Rooms offer excellent views of Kuala Lumpur, with hardwood floors for messy children and extra beds and cribs available. Children under 12 are also free in your bed. The hotel provides a babysitting service, and there is a spa and fitness centre. 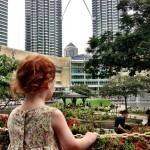 The Seri Pacific Hotel is another best place in Kuala Lumpur for families. Best parts… Putra World Trade Center, all day buffet and hardwood floor rooms. Be Aware… The hotel is located outside the central business district. Best for… Families that need functional rooms in a low-key location. Another best hotel in Kuala Lumpur for family is the Pacific Regency Hotel Suites. The hotel is located within walking distance to the Petronas Towers and the nearby monorail station, making it one of the best hotels in Kuala Lumpur for families who want to explore. The rooms of the Pacific Regency offer spectacular city views, are spacious and elegant with huge 40 inch TV’s, kitchenettes and every convenience families need to be comfortable. The hotel offers suites from premier to executive, and extra beds are available at a fee. There are light refreshments at the hotels cafes, or a full international cuisine at Soi23 Restaurant. The outdoor pool can offer kids with some fun whilst parents enjoy the pool bar. The hotel also offers free parking. Best parts… Walking distance to Petronas Towers, 40-inch TV’s, free parking and international restaurant. Be Aware… The car parks are quite narrow. Best for… Families that want self-sustainable rooms with access to the main attractions of Kuala Lumpur. The Majestic Hotel Kuala Lumpur offers one of the best areas to stay in Kuala Lumpur for families to enjoy the natural scenery of this city. The hotel is located near to Perdana Botanical Gardens which is a fantastic place to explore. The hotel is also a short walk to Merdeka Square. The hotel offers the luxuries you would expect at the best place to stay in Kuala Lumpur, including an outdoor pool with a sundeck to relax, a full spa with massage services, a fitness center with personal trainers and a restaurant and café to enjoy some baked treats. Rooms are elegant and several different types of suites are offered, including the Governor and Colonial Suites. Children will need an extra bed, and these are available. However, kids under 12 can stay free in your bed. The hotel is one of the best places in Kuala Lumpur for your family to enjoy. 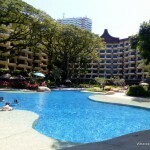 Best parts… Perdana Botanical Gardens, outdoor pool with sundeck and fitness center with personal trainers. Best for… Families that want a natural surrounding. The Swiss Garden Residences Kuala Lumpur is another one of the best Kuala Lumpur hotels, located in Bukit Bintang. These fantastic family apartments offer all the conveniences you need for either a long or short stay. The hotel offers direct access to the Swiss-Garden Hotel via a bridge where you will find free shuttle service around town, including to China Town and the city center. The high ceiling apartments feel very spacious, and there are many room options for even the biggest of families, such as a four-bedroom penthouse! Babysitting is offered and extra bedding is easily arranged at an additional fee. The hotel offers both a buffet and café serving some healthy delights. There are also several actives available including ping-pong and a playground. This hotel offers the best location to stay in Kuala Lumpur for families with easy access to major attractions. Best parts… Free shuttle service to center and China Town, large rooms, ping-pong and other activities. Be Aware… There is some construction work around the hotel. Best for… Families that want to make use of hotel actives with the option to explore further. The Hotel Istana Kuala Lumpur City Center could be the best place to stay for tourist attractions, located in the most convenient of places, being a 5 minute walk from Bukit Bintang Shopping Area and a further 5 minutes to the Petronas towers. This modern hotel features large windowed rooms with suites available and extra beds at a fee. The rooms feature elegant décor with scenic views and wired Internet connection. These rooms are perfect for older families. The hotel has numerous facilities including a spa, golf course and tennis court for you to enjoy. It certainly is the best family hotel in Kuala Lumpur for older families. Best parts… Close to all major attractions, scenic views and golf course. Be Aware… Breakfast may not be very diverse. Best for… Older families that want relaxation and excitement. Accommodation in Kuala Lumpur city for families is offered at Fraser Place Kuala Lumpur. These fantastic serviced apartments offer the perfect space for families to enjoy their stay. The modern apartments are very well equipped with entertainment systems, kitchenettes with stoves and full bathrooms so there is the option to stay in or dine out. The apartments range from studios to two bedrooms. International cuisine is also offered at the hotels restaurant. Fraser Place Kuala Lumpur has a rooftop pool and fitness center, which many families will see as a necessity at the best place in Kuala Lumpur. Free parking is available and there is also a shuttle service provided. The hotel is only a 15-minute walk to Bukit Bintang Street where you will find shopping and dining, and an even closer walk to the monorail station. Best parts… Fully equipped apartments, rooftop pool and shuttle service. Be Aware… The lift is rather slow. Best for… Families that want the option to stay in comfortably, as well as explore. The Pullman Putrajaya Lakeside hotel is one of the best places to stay in Kuala Lumpur. With 4 acres of grounds to enjoy, this large hotel offers the perfect stay for families. Provides a complimentary shuttle service for easy transport to nearby mall and the center of Kuala Lumpur. The hotel could also be used as Kuala Lumpur airport accommodation, being located outside the city center and much closer to the airport. The hotel has a total of four dining options onsite with a range of local and international dishes. The hotel offers many of the facilities that you would expect at the best hotel in Kuala Lumpur, including a large outdoor pool, a fully equipped fitness center and a spa with many relaxing treatments. The kids can also make use of a games room and kids club. Babysitting is available and kids under 12 free can stay free. Best parts… 4 acres of grounds, complementary shuttle, kids club and games room. Be Aware… Located far from the main areas of Kuala Lumpur. Best for… Families that want resort luxuries with easy access to the airport. The Capri by Fraser is a great choice for families, especially larger families, looking for family accommodation in Kuala Lumpur. The suites at the Capri have up to three bedrooms with plenty of space and are well furnished and equipped. The Capri also has some great facilities, especially for families with young kids. There’s a games room, kids club and pools (including a kids pool) with great views. Plus the facilities you’d usually expect in a four star hotel. On the downside, while the Capri by Fraser is located by the Capri mall, this mall doesn’t have some of the useful things you’d need as a family, like a supermarket or a lot of restaurants. There are some eating options, but not a lot. 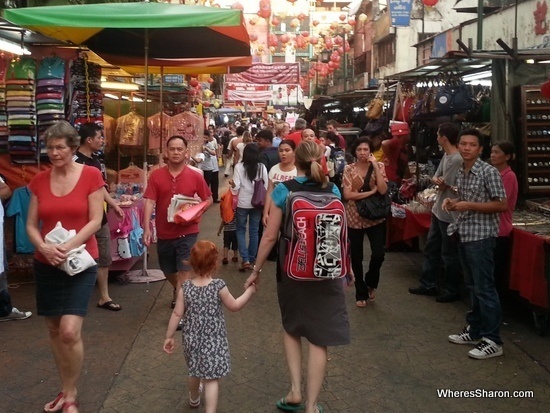 The location is also a bit out from the centre of Kuala Lumpur but there is plenty of public transport close by. Best parts… Up to three bedroom suites available. Kids club, games room and great pools. Be Aware… There are no supermarkets and few restaurants close by. No in-room Wifi. Ambassador Row Hotel Suites by Lanson Place – Offering two bedroom suites, the hotel is located near The Golden Triangle. St Giles The Gardens – Grand Hotel & Residences – One of Kuala Lumpur’s best hotels for shopping, adjacent to mall with two bedroom and deluxe rooms. E & O Residences Kuala Lumpur – One of the best hotels to stay in Kuala Lumpur, offering luxurious one and two bedroom rooms. Hotel Royal Kuala Lumpur – Located in Bukit Bintang, this hotel offers Family Rooms and Deluxe Rooms with an option for extra beds. Sky Express Hotel Bukit Bintang – The best hotel in Malaysia Kuala Lumpur for families on a tight budget, offering family rooms at a low price. 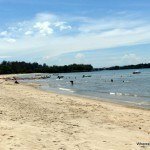 Read more about Kuala Lumpur in our complete guide and check out the best places to stay in Penang. 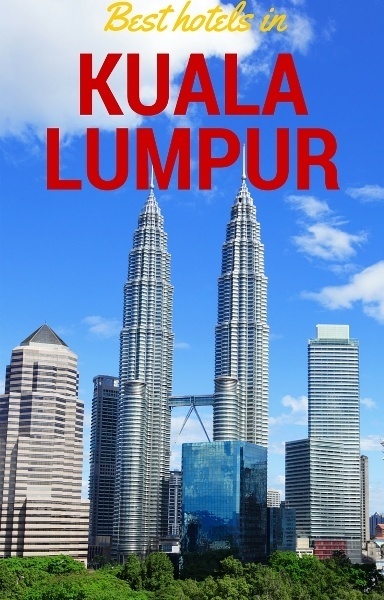 What is your pick for the best place to stay in Kuala Lumpur? we just came back from KL, thanks for the many tips, we had a really good time. For accomodation, very highly recommended is AirBnB Fraser Place REsidence. 2 Bedroom appartment, with kitchen and sitting room, very clean and lovely furniture, with rooftop pool, steam sauna, jacuzzi, walking distance to KL City Park, Twin Towers, Aquarium, etc. Thanks Sabine for the recommendation! Glad you had a great time!! <3 KL!